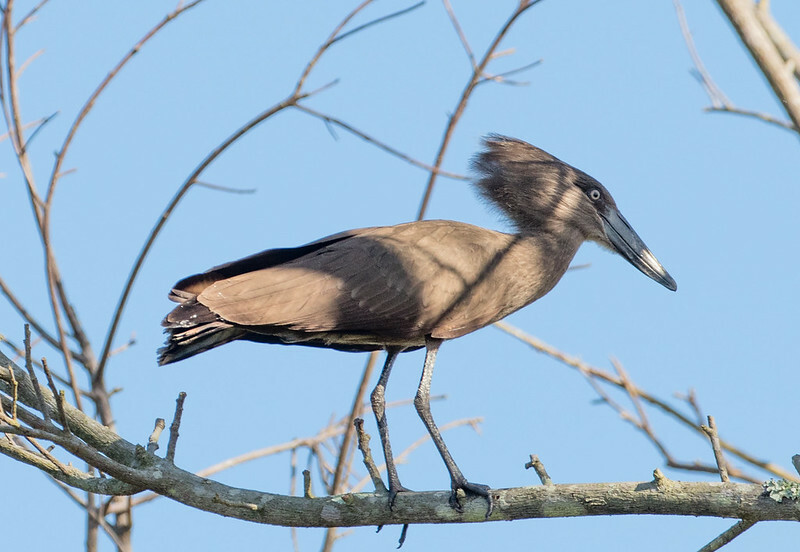 The only member of the family Scopidae, the Hamerkop of Africa and Madagascar is one of those mysterious species of uncertain origin, sometimes placed in Ciconiiformes with the storks, or in Pelecaniformes with pelicans. Many consider the Shoebill to be its closest relative. The bizarrely wonderful hammer-head makes this unique bird truly memorable. This wetland species, found in just about any areas with water, is tolerant of humans, so is easy for birders to find. Pairs build humongous stick nests that can easily support the weight of a man.